Business Chemistry® Confessions podcast has been added to your bookmarks. Business Chemistry® Confessions podcast has been removed from your bookmarks. Hosted by Kim Christfort, national director of The Deloitte Greenhouse Experience™ and Dr. Suzanne Vickberg (Dr. Suz), lead researcher for Business Chemistry. Each podcast episode explores true stories of workplace success and failure that all come down to one thing—Business Chemistry. Learn how you can use Business Chemistry to help better understand your own work style and how it’s similar to or different from others. Our hosts will discuss techniques you can use to flex your style, improve your working relationships, and build stronger teams. Episode No. 10: "Practical Magic"
Have you ever struggled to communicate with someone who spoke a different language? Did you perhaps end up raising your voice, hoping to make yourself understood? Chances are it didn’t help get your point across. It’s the same with working styles. When faced with someone who’s different, turning up the volume on what’s most comfortable for you won’t get you very far. Worse, if you’re dealing with a whole team of people, the problems with that approach are amplified. 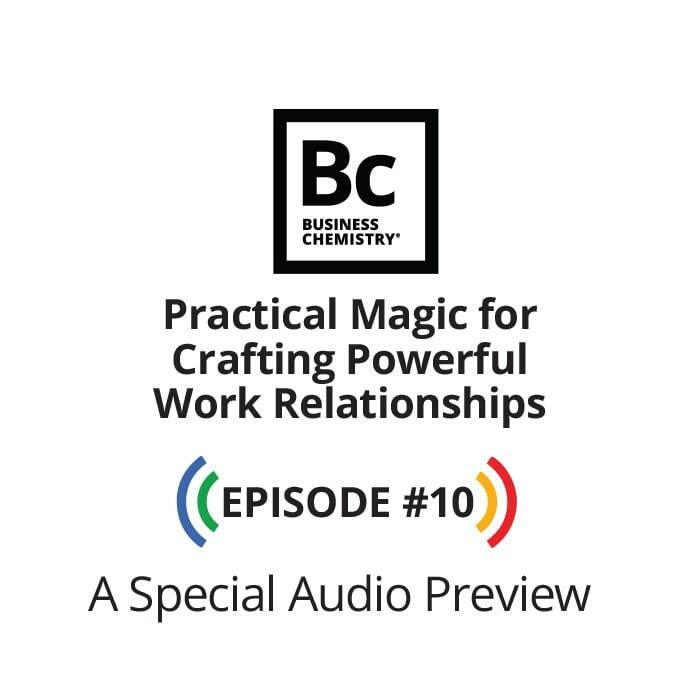 Hear more in this special audio preview of Deloitte’s new book, Business Chemistry®: Practical Magic for Crafting Powerful Work Relationships. It’s all about the chemistry. Chemistry, a powerful word used to represent that magical something that can exist between people. Episode No. 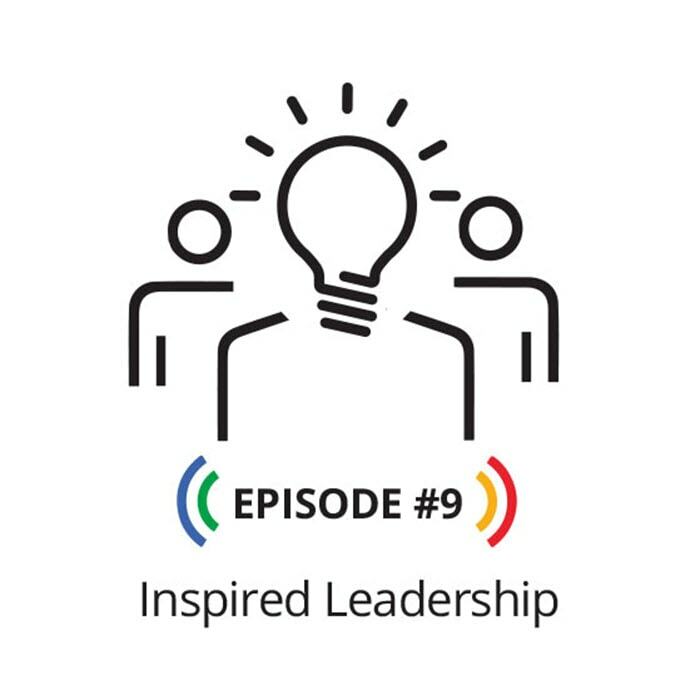 9: "Inspired Leadership"
As I evolved my own personal style, I also learned that you can’t grow without taking risks based upon your own level of risk tolerance and… that the true meaning of leading a global effort is understanding what it means to be truly cross-culturally competent. Episode No. 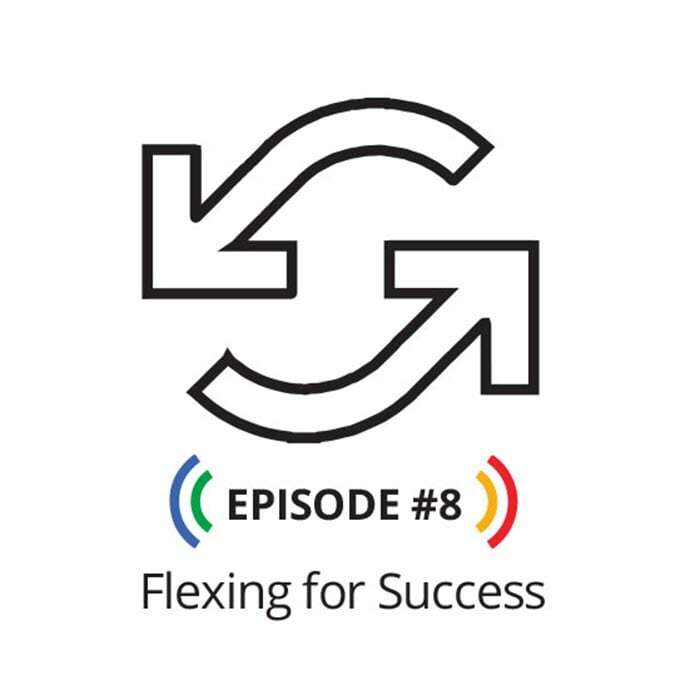 8: "Flexing for Success"
Effective leaders are big, bold, outspoken individuals, who inspire confidence and loyalty through the sheer force of their dynamic personalities. Or, are they? In this week’s Confessions podcast, “Flexing for Success,” we talk to Steve Schloss, Chief People Officer of the United States Golf Association (USGA), about the leadership skills that introverts bring to the table, and why they shouldn’t be overlooked because of their more reserved personalities. I’ve often said to people that if you want applause, you can talk all you want, but if you want results, you have to listen. Episode No. 7: "Building strong teams"
In our previous episode of the Confessions Podcast, we discussed the importance of smart risk taking with Mark Buthman, CFO Emeritus at Kimberly-Clark Corporation. In that discussion, Mark revealed an interesting fact about himself—he doesn’t possess the normally dominant Business Chemistry® traits of a CFO. Whereas most CFOs identify as Drivers and Guardians—driven and analytical personality types—Mark is an Integrator and team builder. It’s a dominant trait that gave him a unique perspective on the need for diversity within a team, and which he believes led to much of his success over the years. Over time, as I built teams, I tried specifically to look for complementary skills. One of the risks in finance, and [on] any leadership team—there’s a lot of analytical, decisive leaders around, but that doesn’t make for such diversity. Episode No. 6: "Smart risk taking"
Mark Buthman isn’t your typical CFO. He has all of the traits that you’d often expect to find in someone successfully holding down that role—he’s highly analytical and very decisive—but he brings much more to the table. In “Smart risk taking,” he talks about how you sometimes need to step outside of your comfort zone in order to be successful. Listen to why he believes taking a calculated risk can be beneficial, even if things don’t always go as planned. My second-tier attribute is to be an Explorer. I like to try new things. I’m constantly dissatisfied with the status quo. Research suggests we make better decisions in diverse groups than in homogeneous ones, but we feel less confident in those decisions. Why? In Tug of War we hear about a newly appointed CEO and her experience of having her responsibilities seemingly pulled from her grasp—by a large and cumbersome board. Instead of the CEO and board benefitting from their different perspectives, we see an example of how difference—can be straight-up—difficult. The interpersonal conflicts were indicators that some sort of mediation needed to occur. The future of our organization depended on the health of the relationships when we were working together. The squeaky wheel gets the oil. Or, does it? Some work cultures tend to reward people who talk the most. But, have you ever worked with an introvert? They are quiet, analytical, and organized. Extremely smart—but often overlooked and misunderstood. This episode, Secret Weapons, explores one introvert’s experience in a new position where her company culture was at odds with her personal work style. Will she find success with her new company? We are in an environment that requires us to flex. But, we don’t have to change completely. We can flex in particular ways that let us maintain our strengths and be successful. ​This episode, “My boss the robot” explores one professional’s experience with her new boss and the mismatch between their working styles. The disconnects in day-to-day operations at her new job and brought her just days away from leaving the company. But, a communication breakthrough leads to better understanding. I triumphantly brought in my new idea to discuss with my new boss. She thanked me and then got out her red pen and immediately started marking it up with edits. I felt shut down by her rules and micro-management style. Episode No. 2: "There is no 'I' in we"
Should leaders be willing to change for the good of the team? This episode uncovers a team dynamic that wasn’t working for Ritwik. When he tries to force his own work style on a team, who has a very different working style, there are unintended consequences to the team’s performance. Learn how you can flex your style to create a dynamic and successful team. I am an agenda driven person and my team was full of ideas. When I would stop conversations in meetings that seemed off-topic, the team would just shut down. They just saw me as aloof and my need to stick to agendas impacted our team’s performance. This episode explores the circumstances where Betsy needs to guide a team that is enthusiastic about project success. However, their desire for team harmony creates one monstrous roadblock. Can too many similar working styles actually hinder success? The team was thoughtful, kind, and cohesive. In fact, we were too diplomatic and too nice. After weeks the team wasn’t able to move the project forward because they didn’t want to hurt each other’s feelings. Which Business Chemistry type best describes you? Haven’t taken our Business Chemistry assessment? Make a hunch about your type.